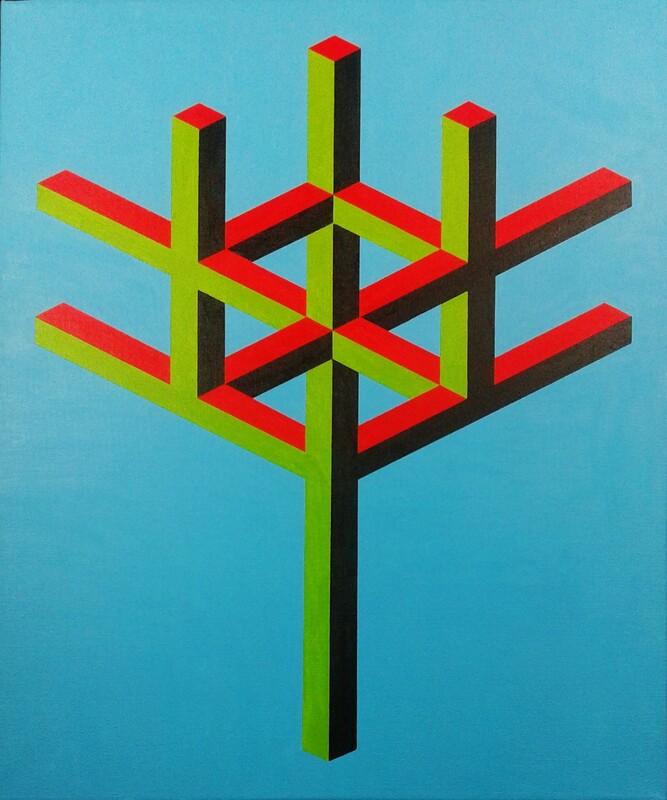 A serie of 4 abstract paintings showing a three dimenionsal tree in all the different seasons; winter, spring, summer and autumn. During my vacation in Greece we've bin on a trip in a small tour train. We passed a lot of olive and orange trees. Especially the olive trees took my attention white there light green colors. When we went to our vacation appartment later that day I sketched the tree. When I came back from Greece I still wanted to make the tree. 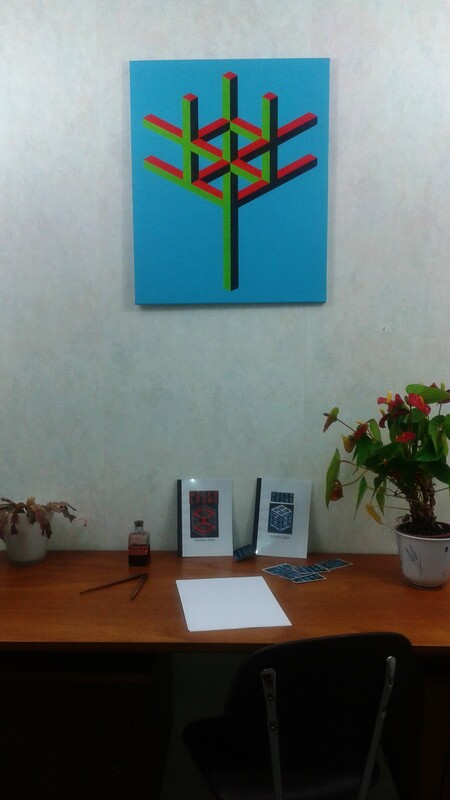 However why make only one tree, I could make abstract paintings of all kinds of trees with the sketch I made in Greece. Why not make atree for all seasons and so I did. Summer needed to be the most bright full one. So I used a more turquoise blue. Trees are filled with leaves and fruits like apples.